Bournemouth has over 2.5 goals in their last 3 games in Premier League. Crystal Palace won their last 3 away games in Premier League. Bournemouth scored in last 6 home games in Premier League. Bournemouth has over 2.5 goals in their last 4 home games in Premier League. Bournemouth won their last 3 home games in Premier League. 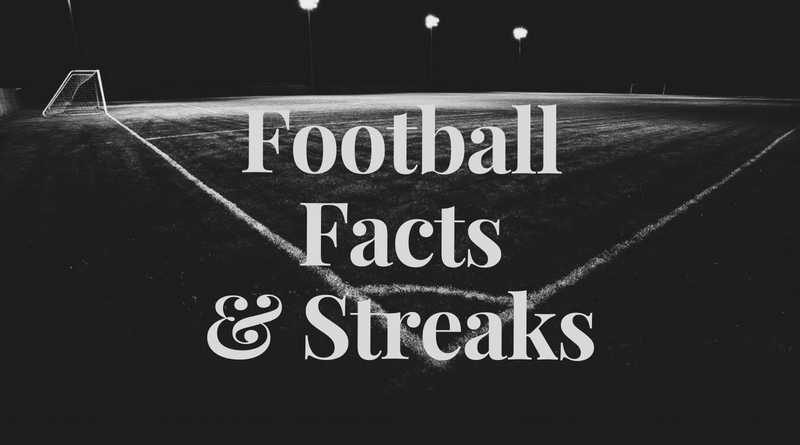 Spal 2013 lost their last 3 games in Serie A.
Sampdoria didn’t score in last 3 games in Serie A.
Spal 2013 lost their last 3 away games in Serie A.
Chapecoense has over 2.5 goals in their last 3 games in Serie A (Brazil). Chapecoense scored in last 3 games in Serie A (Brazil). Troyes has under 2.5 goals in their last 3 games in Ligue 2. Auxerre has under 2.5 goals in their last 3 games in Ligue 2. Auxerre didn’t score in last 3 games in Ligue 2. Troyes allowed opponents to score over 1.5 goals in last 4 home games in Ligue 2. Union Berlin scored in last 4 games in II Bundesliga. Ingolstadt 04 lost their last 3 games in II Bundesliga. Union Berlin ended draw their last 4 games in II Bundesliga. Union Berlin allowed opponents to score over 1.5 goals in last 3 away games in II Bundesliga. Brann allowed opponents to score over 1.5 goals in last 3 games in Eliteserien. Portimonense has over 2.5 goals in their last 3 games in Liga NOS. CD Aves has under 2.5 goals in their last 3 games in Liga NOS. Portimonense scored in last 3 games in Liga NOS. CD Aves didn’t score in last 3 games in Liga NOS. Hacken has over 2.5 goals in their last 6 games in Allsvenskan. Hammarby allowed opponents to score over 1.5 goals in last 4 games in Allsvenskan. Trelleborgs lost their last 5 away games in Allsvenskan. Elfsborg has under 2.5 goals in their last 5 home games in Allsvenskan. Hacken won their last 3 games in Allsvenskan. Elfsborg scored in last 6 games in Allsvenskan. Hammarby has under 2.5 goals in their last 4 games in Allsvenskan. Gothenburg scored in last 6 away games in Allsvenskan. Hacken has over 2.5 goals in their last 3 away games in Allsvenskan. Trelleborgs lost their last 3 games in Allsvenskan. Yeni Malatya Spor scored in last 3 games in Super Lig. Istanbul Basaksehir scored over 1.5 goals in last 3 home games in Super Lig. Istanbul Basaksehir scored in last 3 home games in Super Lig. Istanbul Basaksehir allowed opponents to score over 1.5 goals in last 7 home games in Super Lig.